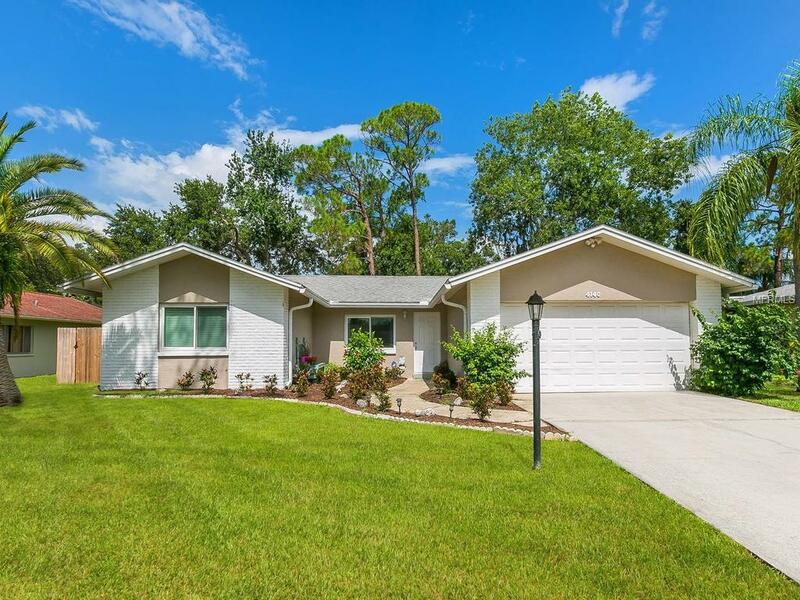 Looking for a 4BR home in a great school district? You've found it! This move-in condition home was completely remodeled in 2015 with NEW energy efficient double pane windows, NEW exterior doors, NEW diagonal tile floors, NEW custom kitchen (granite, stainless appliances, beautiful cabinetry w/dovetail construction & soft close drawers, under cabinet lighting), NEW bathrooms (custom cabinetry, granite, brushed nickel fixtures), NEW A/C, NEW water heater, NEW electric panel, NEW baseboards, and NEW interior & exterior paint. Both bathrooms were updated even more in 2017. Relax on the spacious screened lanai overlooking the fully fenced backyard (2 gates). Large yard for pets but also has a 25 x 22 open patio with firepit and plenty of room for toys/tables.